Benni is our new office mascot! 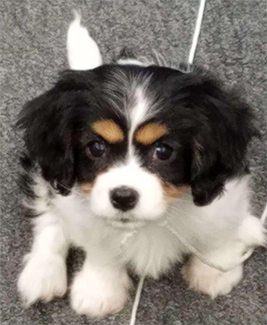 She is a Cavachon, which is a Cavalier King Charles/Bishon Frisse mix, and is a joy to have around the office. She may greet you at the door the next time you stop by!